Runners taking part in the Race For Life event earlier this year on the Riverside Way. Highland Council has appointed transport consultants to prepare design options to improve the Riverside Way in Inverness. The vast area covered stretches from the west side of the River Ness to Glenurquhart Road, incorporating Tomnahurich Street and Young Street, as well as the city centre and new West Link. Inverness West ward councillor Graham Ross said: “This is a great opportunity to co-ordinate our proposals for the Riverside Way covering the management of bigger public events along with improved walking and cycling infrastructure along the riverside. The authority has appointed consultants Aecom to carry out the work. 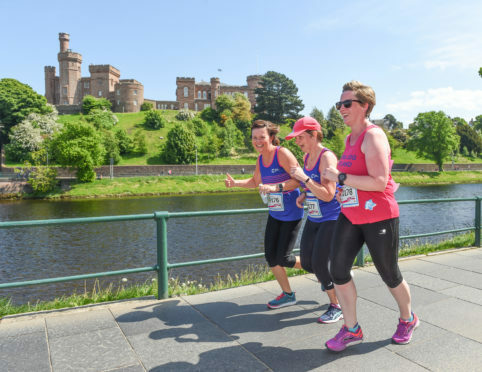 The area is well known for its use in events throughout the year with the Loch Ness Marathon, Race for Life and Civic Bonfire being major events that take in the Riverside Way. Consultations with stakeholders, elected members, community councillors and businesses in the area are to take place to identify all possible options for improvements. Traffic surveys and community consultations will continue before a full project report is expected to be considered by the City of Inverness and Area Committee in November. Efforts to celebrate the 200th anniversary of the Caledonian Canal, which the Riverside Way runs by, are underway with a host of major events planned for 2022.